Beginning with one of the most remarkable ecological collapses of recent times, that of the passenger pigeon, this book surveys collapse processes across the entire spectrum of the natural and man-made world. The reader is taken through extreme weather events, crashing financial markets and companies, the chaotic nature of Earth's orbit, revolutionary political change, the spread of disease and many other fascinating cases. 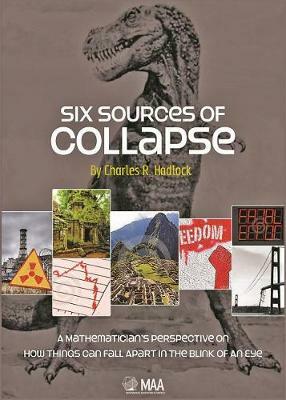 The author's key observation is the consistent occurrence of one or more of six fundamental dynamics ('six sources of collapse'), all of which can be best described and investigated using fundamental mathematical concepts which include low probability events, group dynamics, evolutionary games, instability, nonlinearity and network effects. The exposition assumes a minimal mathematical background, but even professional mathematicians are likely to get rich insights from the range of examples. This book will also be of interest to readers in business and finance, engineering, ecology and political science.